A few weeks ago Priceline were having some type of sale (as they always seem to be doing these days) and items from the brand Formula 10.0.06 were particularly cheap. 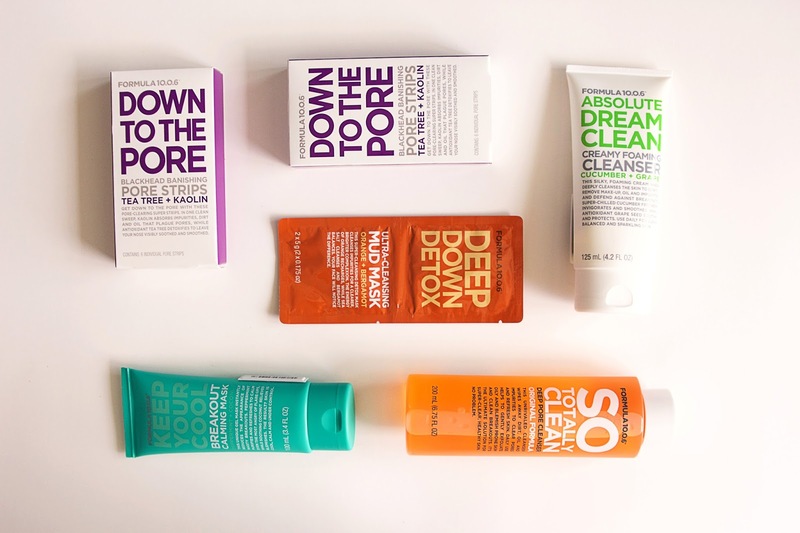 I'd used one of their face masks and face washes in the past and found them to be pretty good, so I figured, seeing as they were so cheap, it was the perfect time to buy and try some more stuff from the line. I also love their packaging, simple yet beautiful to look at. 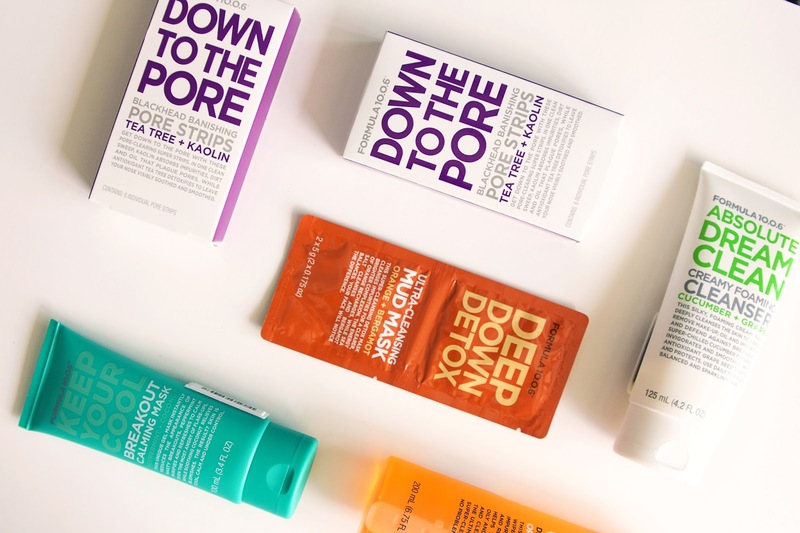 I picked up two packets of their 'Down To The Pore' pore strips, to small 'Deep Down Detox' mud mask packets, their 'So Totally Clean' toner, the 'Absolute Dream Cleanse' face cleanser which is cucumber and grape scented, and the 'Keep Your Cool' Breakout cleansing face mask. I haven't had a chance to use every single product yet, but I have tried a few. 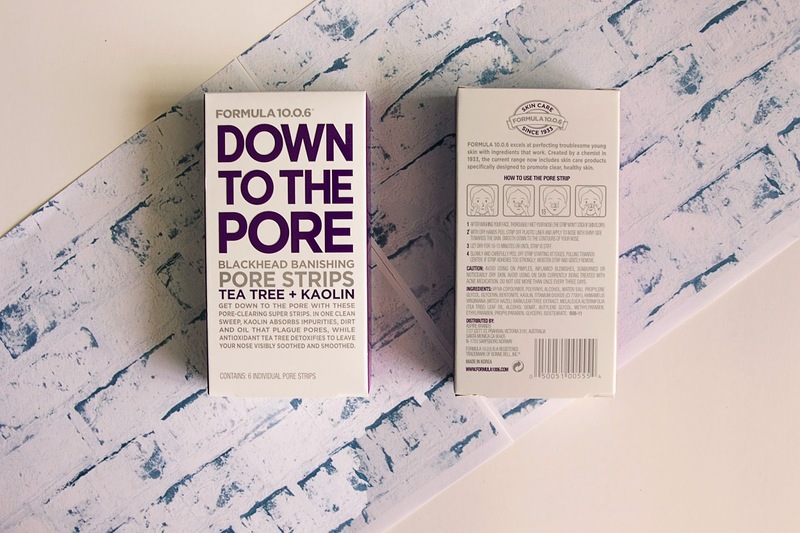 Grabbing the 'Down To The Pore' pore strips I was fairly excited to try them out because I normally just use Biore pore strips, and have never noticed any other brand selling them. My only other alternatives have been those black goops you can buy in the tubes from eBay or Diaso, but I've never found them to be as effective as the Biore strips. I've only given the Formula 10.0.06 strips one go, and to be fair I don't think the pores on my nose were particularly full of dirt at the time, however they did manage to pull some crap out. They're a little bit cheaper than the Biore strips, and I think they would make a great alternative. I'm keen to give them a better test run. 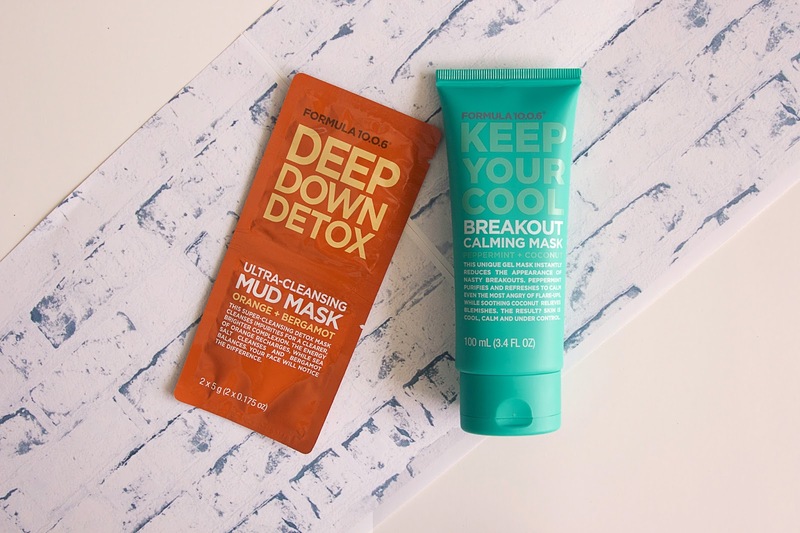 I've also used the 'Keep Your Cool' Breakout cleansing face mask a few times. 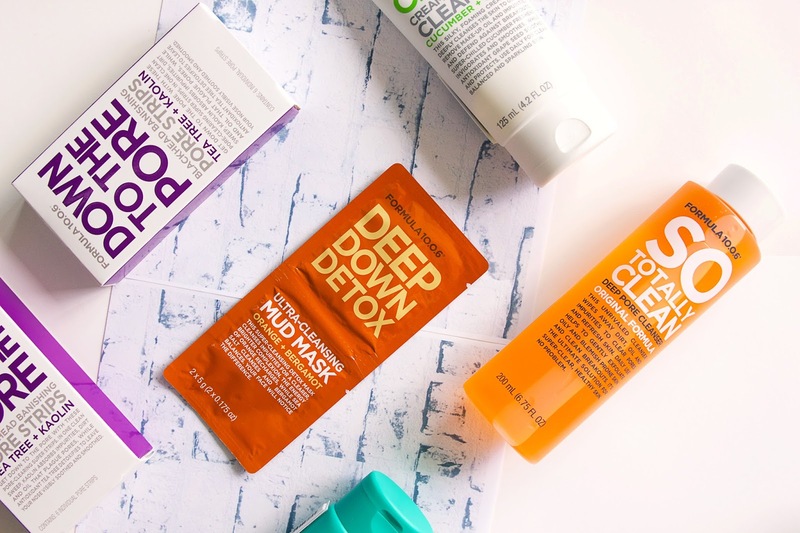 This mask is all about helping calm any annoying breakouts you might have your face, helping to reduce their redness and overall obnoxiousness. I use this in combination with a different branded face mask that is a more tougher, declogging-type product and follow with this to help give my face something nice to cool down and relax with after being given some serious dirt-ridding treatments. You spread this one all over your face and let it set. It has the coolest texture when it dries; I don't really know how to explain it - it feels like there is a really, really, really soft layer of rubber sitting on your face. 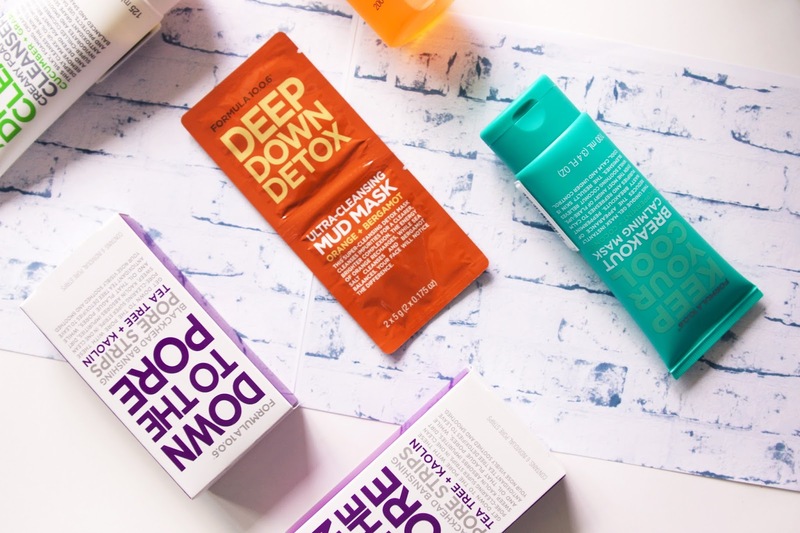 I'm honestly not sure this one is majorly effective, which is a bit of a shame because other masks I've used from the brand before did seem to do a good job, but it still feels really fresh and relaxing on your face and I'll happily use the rest of it; not sure I'll grab it again though. 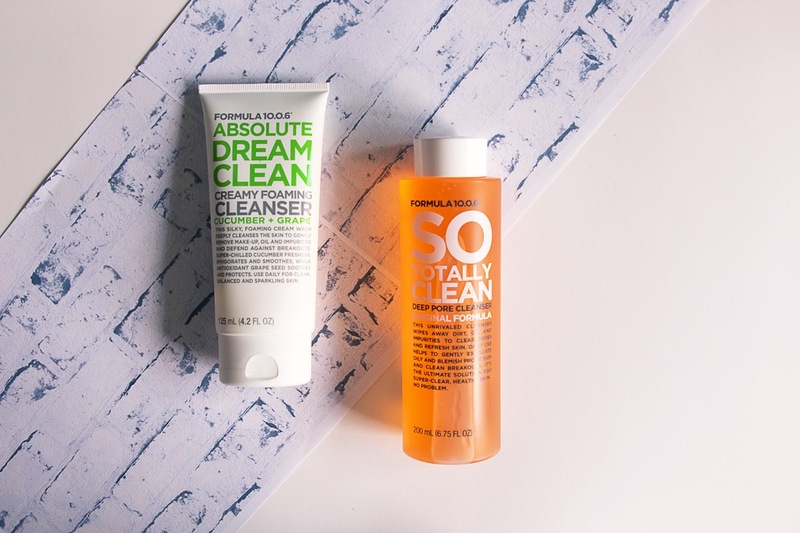 The last product I've managed to have a crack at is the 'Absolute Dream Clean' face cleanser. Have to say I love this stuff. You only need the tiniest bit in your hand because this stuff lathers up really, really well. It definitely leaves my face feeling super clean, though I have noticed when I use it twice for those nights when I'm making sure I get all my makeup off my face, it can leave me with a really squeaky clean, almost dry-type feeling on my face, but it's nothing a good toning and moisturiser afterwards doesn't fix, and it does remove all the makeup and dirt from my face. I'd probably purchase this one again. Overall this brand delivers some great products at really affordable prices. 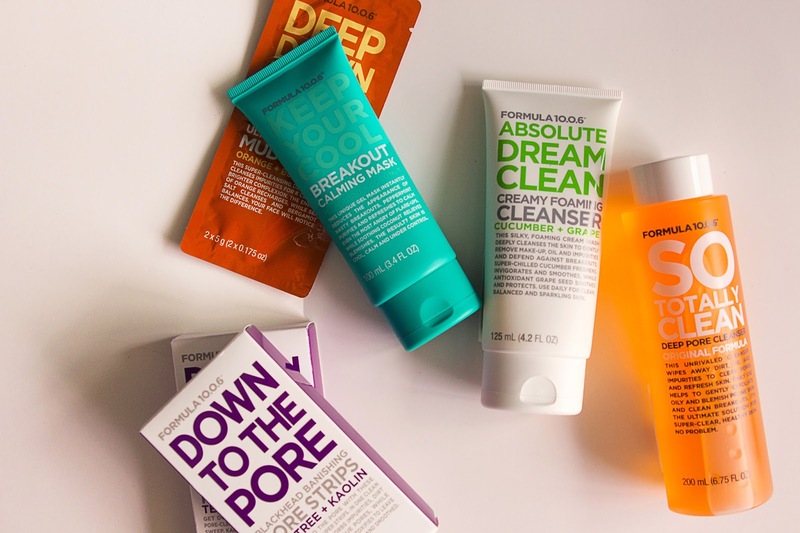 So if you're ever looking to try some new face products, or there's a sale on in Priceline and you're not sure what to pick up, maybe give these guys a go. The breakout cleansing mask was the one I was looking forward to the most, but ahh, shame to hear that it only does a mediocre job. Sales are fab, aren't they?